Both the camping sites are run by families and their teams, which guarantees maximum quality and friendly attitude to our guests. A camping on the very shore of the largest Czech lake – Lipenská přehrada. It has its own 800 m beach. Fishing possible. Due to its location it is ideal for cycling trips to the nature. In the vicinity you can find beautiful castles and chateaux such as Český Krumlov, Rožmberk, Hluboká nad Vltavou. Each camping offers something for every family member. 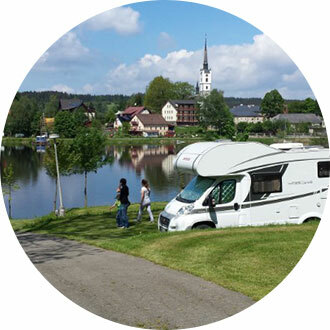 As the name “Family Topcamping.cz” suggests, you can find there a lot of entertainment for the little ones – child play grounds, sports grounds and trampolines. In the high season offer campsites regular animation programmes for children of all ages. In each camping can you use a common discount coupon. The 15% discount covers the basic prices (that is: tariff for the camping place including the electricity line and a price per person) for the whole time, when the camping is open. So it does not matter, if you come in the main season, off-season or inter-season. This discount is given to every our guest when leaving any of our campings. It is not important if you stayed one day or fourteen days. The validity of the obtained coupons has no expiry date. The discount must be presented right when you check-in the camping. 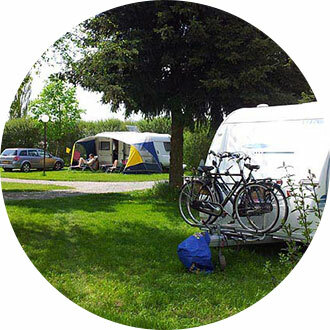 Topcamping voucher can be combined also with an ADAC Campcard or Campingkey. The discount coupon can be used also for accommodation in mobile homes. In that case you will get a 10% discount from the price of the accommodation (excluding the surcharge and the community charge).